Are you an artist who wants an iPhoto/Photos like way of organizing your art images, but you don’t want to mix your personal photos with your artwork? Maybe you are a writer and want to catalog screenshots and images for articles? Or perhaps you have a ton of miscellaneous images on your computer that you want to organize? If so Pixave, an app that costs just $9.99 in the Mac App Store, might be what you are looking for. 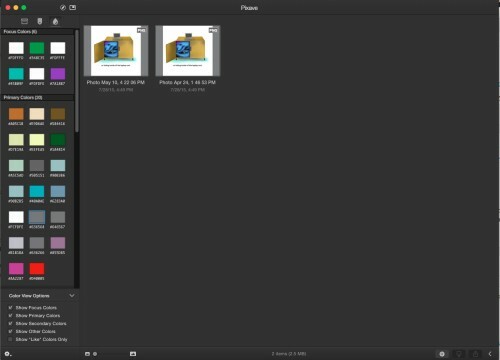 Pixave is an image organizer for the Mac that allows you to group your images into collections (or albums). These collection can also be further organized into folders containing various collections and/or smart collections. What is a smart collection? It is a collection that grabs imported images based on attributes you set. These attributes can be title, date, file type, or even color. Yes, I said a smart folder can be organized by color. That is one of the cool things about Pixave. Want to find a group of images that share a common color? Click the Colors tab and you will see all of the colors Pixave can find in a selected collection. Click a color, and Pixave will show you all of the images in that collection with those colors! Importing images into Pixave is as easy as drag and drop. You drag a folder into Pixave and it will import the images from within that folder. 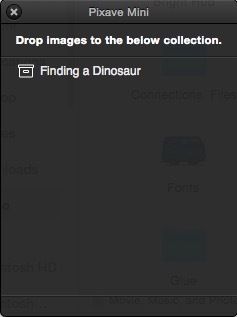 The only issue I found with this process is that the app will not import images that are in folders within folders. You have to do each folder individually. This is a must feature that would save a ton of time. However, I am happy to report that the developer has informed me that in the .1 update this will be a feature. Another easy way to import images is through Pixave Mini. It is activated through a little button at the top of the window and shrinks Pixave into a mini version that floats above other apps. Find an image you want imported from a website or your computer and just drag it into the right collection onto Pixave Mini. If you constantly take screen shots, Pixave has you covered there too. By using the screen shot menu placed in the menubar you can take screenshots which are automatically imported into Pixave. You might be wondering what file types are supported by the app. Not only are all common file types supported (jpg, gif, PSD, EPS, tiff, etc. ), but support has recently been added for my new favorite apps Affinity Designer and Affinity Photo, as well as Pixelmator. The only thing missing from my app collection is Mischief files. 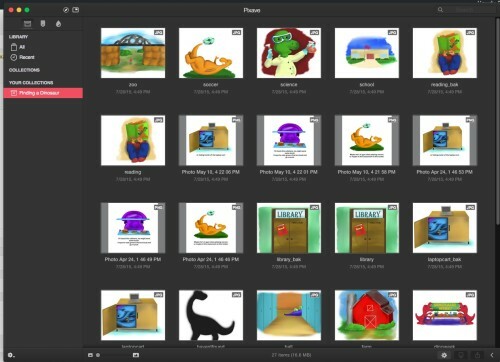 Overall, Pixave is a great image organizer. Instead of having images scattered on your hard drive, Pixave makes it easy to organize and eventually find those images when you need them. With the addition of support for nested folders this would easily be a 9 out of 10. However, until that time I give Pixave a MyMac.com Review rating of 8 out of 10. I look forward to seeing what other features are coming in future updates! MyMac Podcast 568: What are Old Macs good for?